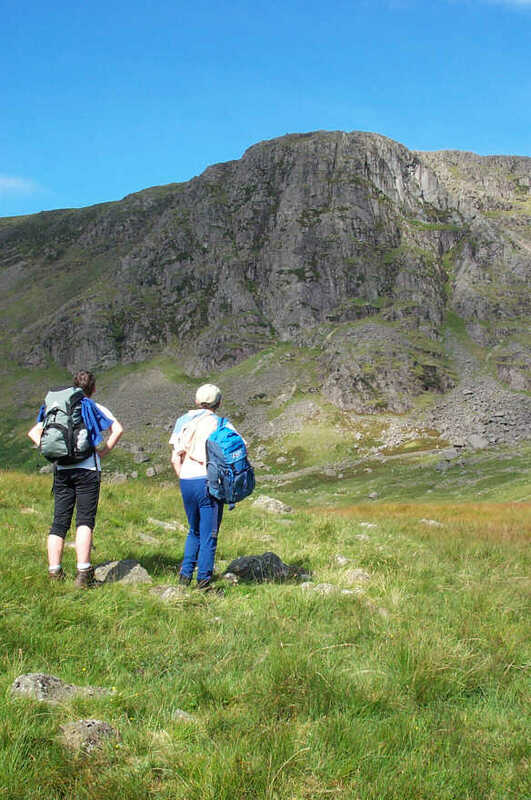 Once again Anne and Jim are on morris dancing duty so they don't appear on the Seathwaite Vibram meet until the Saturday evening by which time the barbecue was in full flow. Although it wasn't the official family meet, this is such a good hut that there were plenty of kids along. 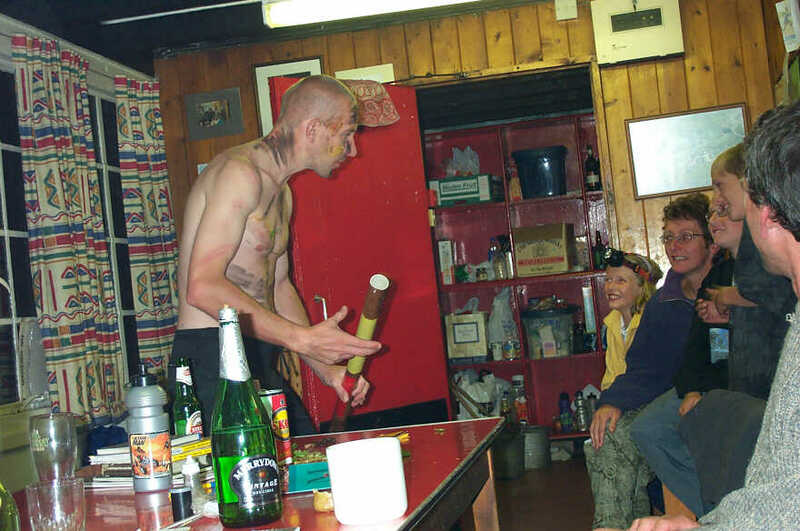 Fortunately, Ian had brough his didgeridoo and it wasn't long before Steve was using it to keep them (and us) amused. 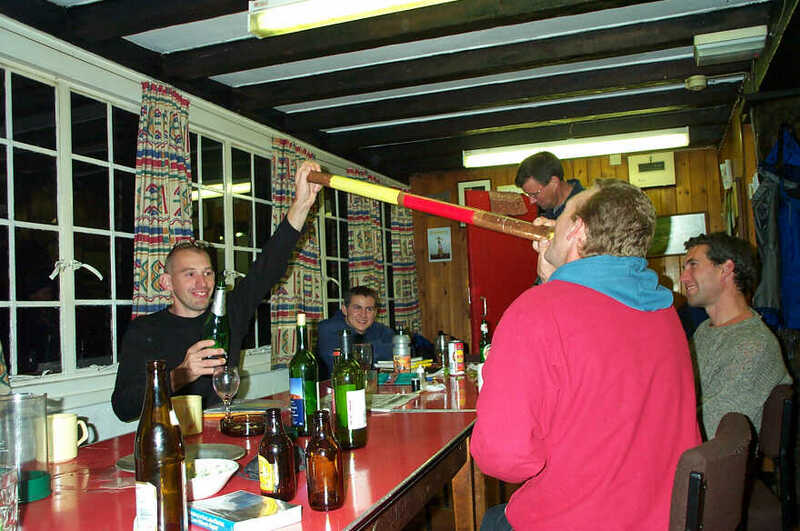 Later, it was converted for use as a yard of ale. Whell actually it was Merrydown cider - this lot will try anything! Sunday dawned bright and blue but, for some reason, it wasn't very early by the time we all set off on our various ways. 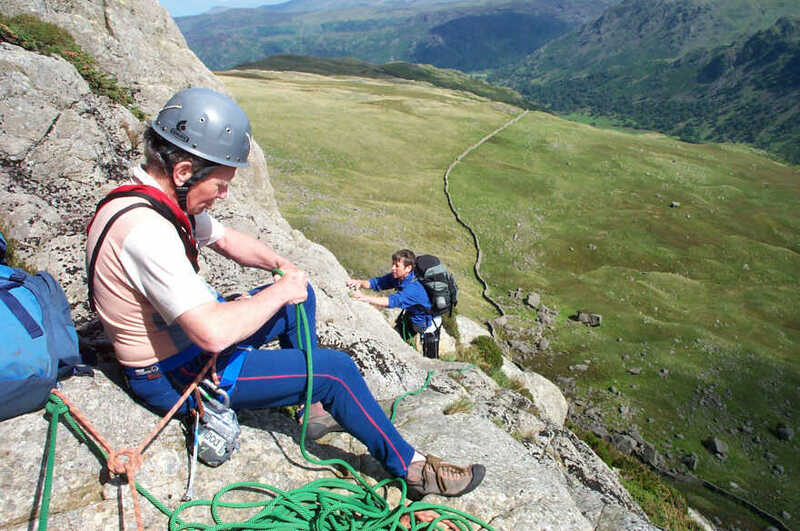 Johnny G., Anne and I had a very short walk to our intended target - Gillercombe Buttress. In fact, John had intended to solo a V.Diff but, after giving it a closer inspection, decided to join us on the Mild Severe instead. 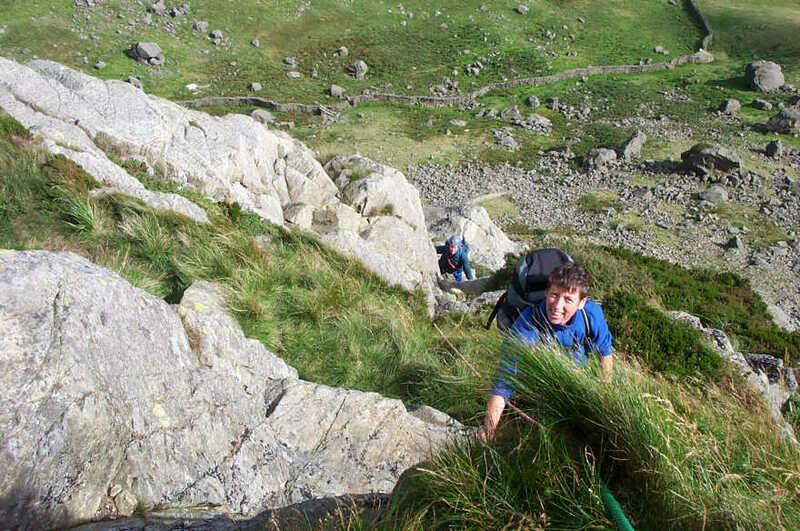 The descent route is long and difficult so we decided to climb with our packs. As it turned out, this added considerably to the difficulty of the route. John's pack was quite heavy with extra climbing gear and this made some moves very awkward for him, despite his considerable ability. This is the at the end of pitch 2 where there is a large ledge where I could get the camera out. The end of pitch 3 and an even wider ledge. Pitch 4 was probably the hardest. just after the start there is a wall on the left that keeps pushing you off balance - even more so with a pack. There is a short stretch of scramble in the middle - I think it's pitch 5. I think there were four more pitches but I ran some of them together. We didn't top out 'til nearly 5 o'clock by which time we were starving! 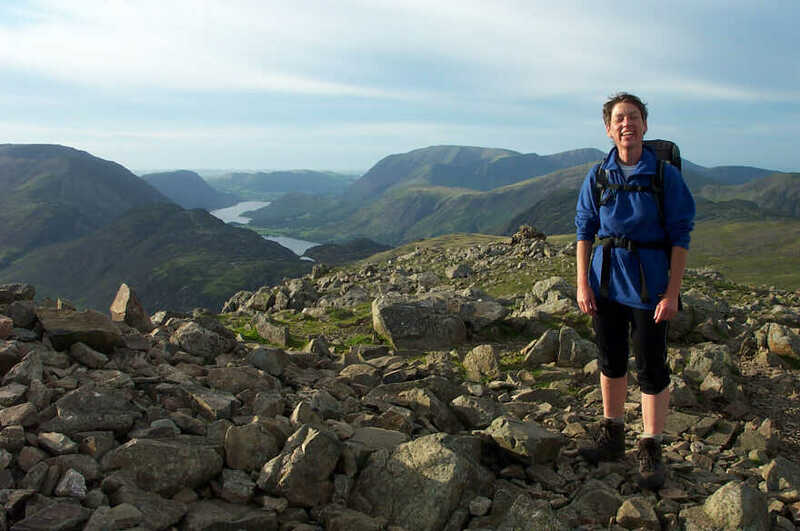 It was such a nice day that Anne and I wanted to finish off with a bit of walking but John had done the ridge the day before so he soon droped left down the slope and back to the hut. 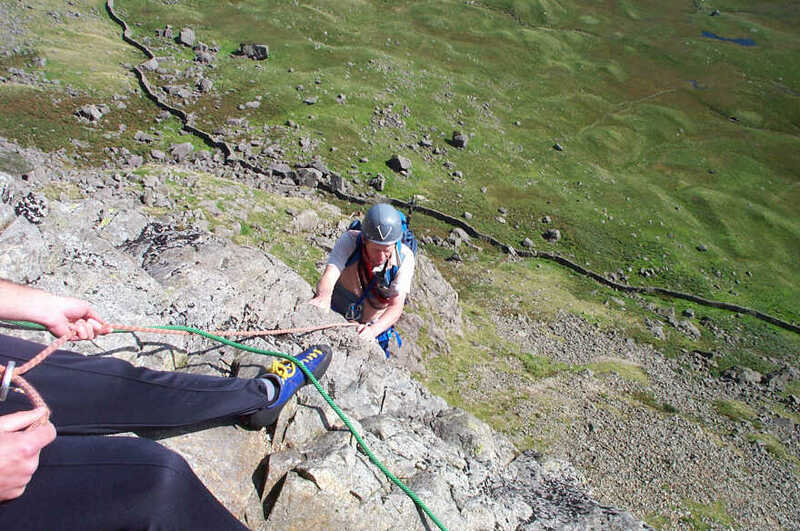 We continued West along the ridge so we could get a shot of Anne of Green Gable. 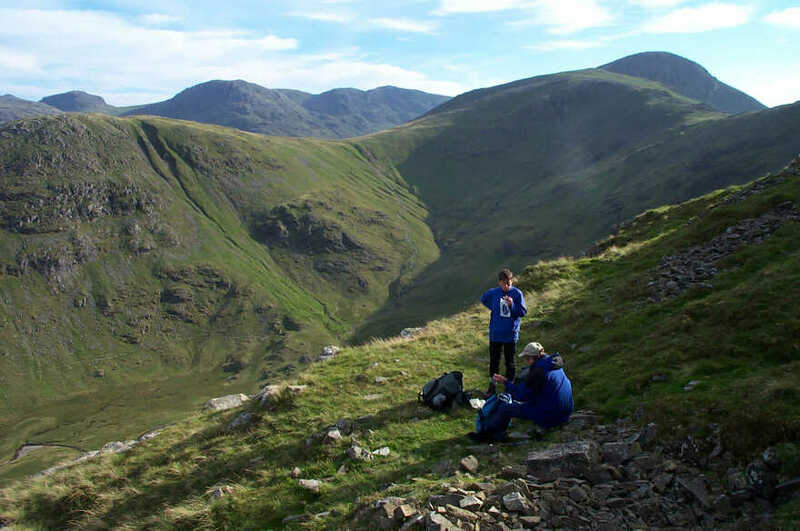 In the background is Buttermere where we had been the weekend before. 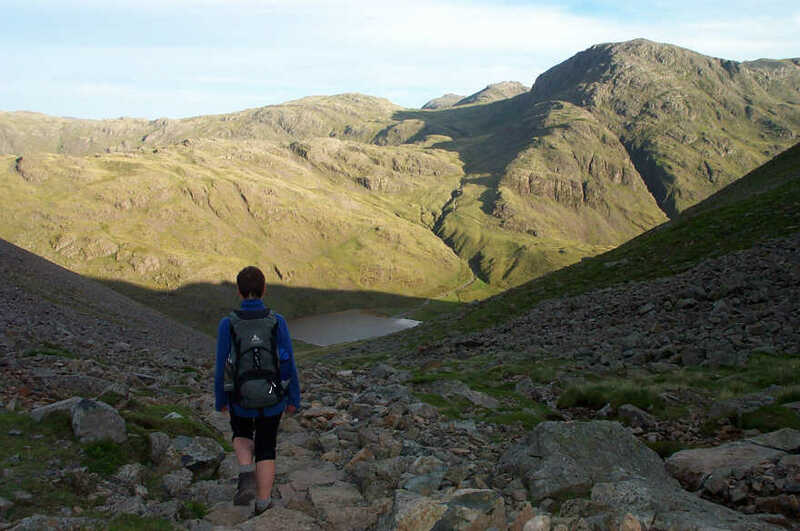 From Green Gable we headed down Aaron Slack. Near the bottom I realised we were walking above running water. I looked up to see where it was coming from and saw thousands of tons of scree - eek! We quickly continued down Styhead Gill, past Taylorgill Force (very pretty) and back to the hut. 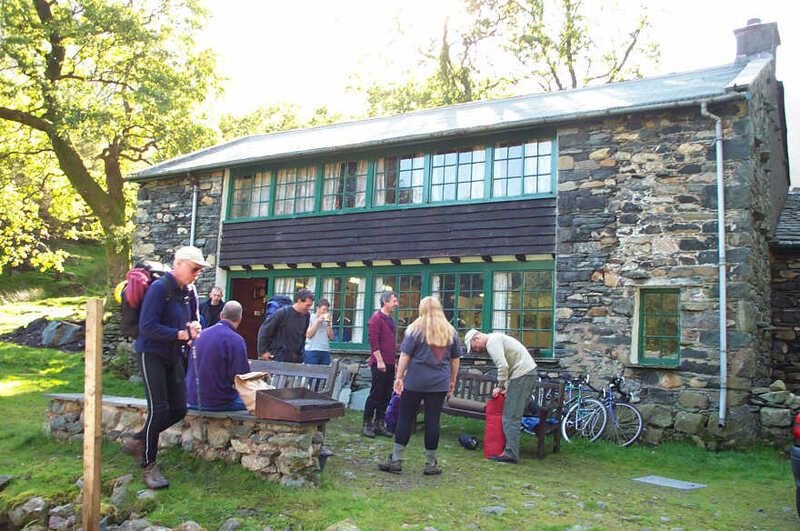 Everyone else had tidied up and gone so we had a quick check round and then headed off into Keswick for chips.